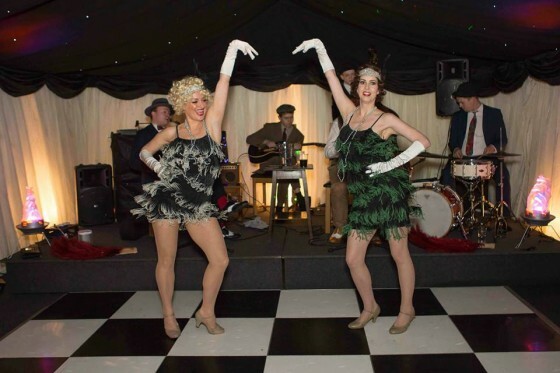 The Jazz Spivs do Twenties themed weddings! The 1920s sound of The Jazz Spivs are a fantastic choice for all kinds of weddings, providing a unique alternative to the classic wedding entertainment choice, the string quartet. The Jazz Spivs are a convenient choice for 1920s themed weddings because, like a string quartet, they can make a great sound in good sized room with no extra amplification required. Of course, if you wish we can also bring our full PAT tested and certified PA equipment. Perfect to fill a tricky entrance hallway with no power sockets or an outdoor marquee or lawn, The Jazz Spivs can be positioned anywhere in your wedding venue. With no need for a expensive, large band, just four band members can really pack a punch in terms of making a big sound. Unlike a string quartet, we are suitable for providing entertainment both during the ceremony and for a full evenings reception! Want some exit music or a ditty while you are signing the register? Contact us. 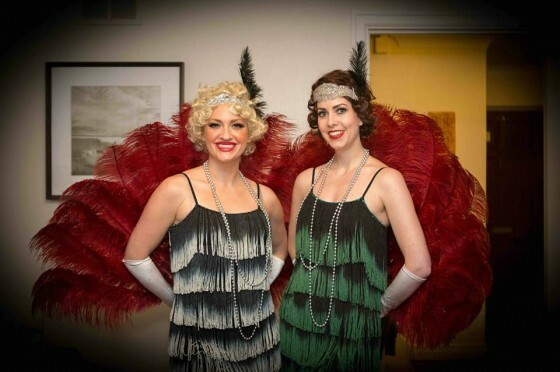 Want your guests to have an unforgettable evening jiving and dancing the foxtrot with our authentic 1920s Flappers? Get in touch! Take a look at our song list to see which of your 1920s favourites we can play at your wedding! What we love about weddings is that each one is unique, so we will work with you every step of the way from our response to your online enquiry form or phone call (0800 756 5512) to the last note of the evening to make sure we provide you with the entertainment you require. Get in touch with us today to discuss your requirements. We’ll be happy to hear from you!